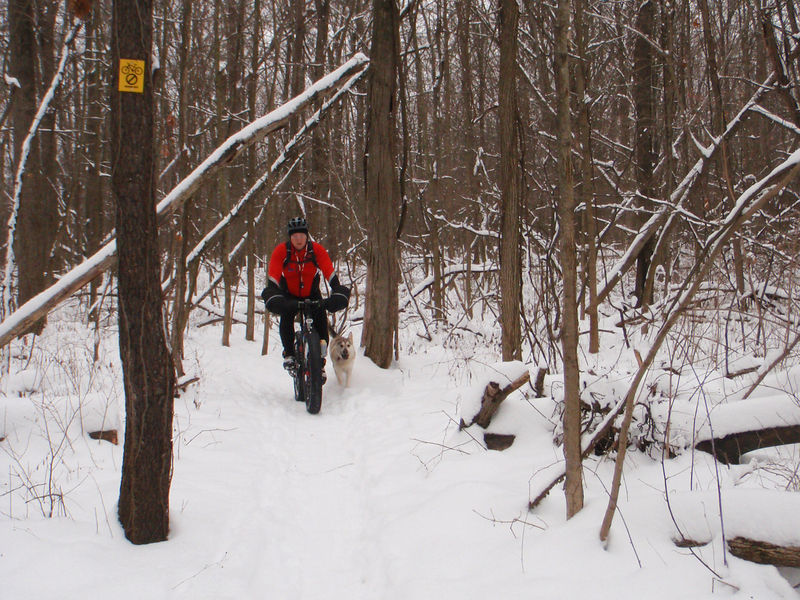 Join CRAMBA-IMBA at noon on Saturday, February 7th, 2015 the ¡Ay CRAMBA It’s Cold Out! group ride and party on the snow-covered and winter-friendly trails of River Bends Park. Just like last year, come on out and join the fun for a few laps. We’ll have a solid, ridable groove groomed that we hope will make the trail accessible to all. Fat bike or regular mountain bike, everyone is welcome! We’ll have hot bonfires, chili, beverages, and a picnic shelter for our use. Bring snacks, food, or beverages to share. Local bike shops, including KLM Bike & Fitness, Rochester Bike Shop, and Main Street Bikes will be on hand with their fat bike demo fleets. Want to try a new fat bike? Here’s the place! Head on over to this thread on the MMBA forum to discuss the event, or join the event page here on Facebook. River Bends is located at Park Rd., Shelby Township, MI 48317, and meet at the Hickory Grove Shelter, located just north of the trailhead kiosk near the main parking lot off of 22 Mile Road.